Wayne is founding executive director and CEO of the Antigua Forum at UFM, a unique annual conference based on an innovative process that applies the principles of markets and self-organization to discover ways to accelerate projects that can advance liberty, increase individual choice, and liberate people from government coercion. Wayne is a former professor of economics at UFM, where he taught courses and seminars in economics, political economy, and management to students in business, economics, and law. He also led faculty seminars on economics in general, Austrian economics, evolutionary psychology, Marxist theory, and more. Previously, Wayne was senior expert at Navigant Economics. He has provided economic analysis on telecommunications regulatory issues to clients in the United States, Latin America, and Africa. He also served over ten years in senior advisory positions at the Federal Communications Commission (FCC) and the US Senate Committee on Banking, Housing, and Urban Affairs. He is currently head of the Office of Strategic Planning and Policy Analysis at the FCC. 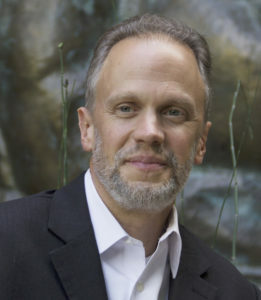 Wayne earned his PhD in economics from George Mason University and is co-author with Edward Lopez of the book Madmen, Intellectuals, and Academic Scribblers: The Economic Engine of Political Change. A native of Fort Worth, Texas, Wayne has lived in Guatemala City, Mexico City, Washington, DC, and Wichita, Kansas. He currently divides his time between Guatemala City, Dallas, and the District of Columbia, where he lives with his wife and young daughter.